Gulfstream began operating in 1990 with flights between Miami and Cap Haitien, Haiti, service which was quickly halted due to the unstable political climate in the island country. 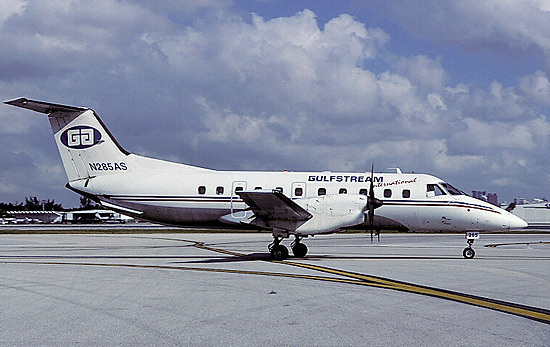 The following year Gulfstream began flights between Miami, the Bahamas, Orlando and Vero Beach. 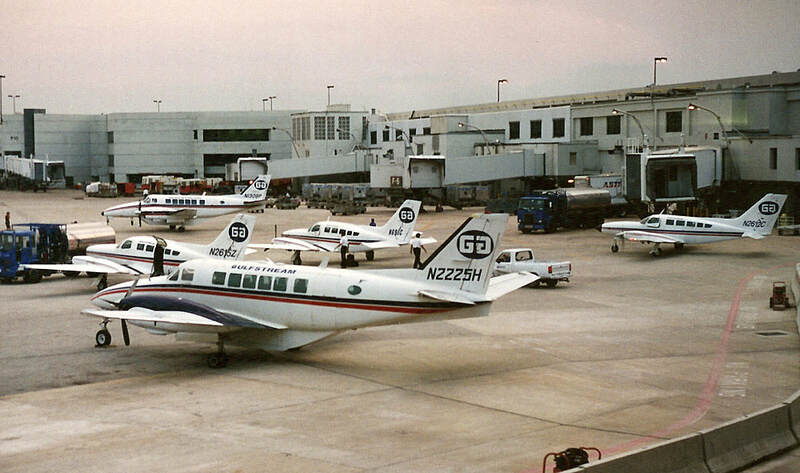 In 1994 the airline expanded into Atlanta and took over GP Express' Essential Air Service obligations to Anniston, AL. During the early and mid 1990s the fleet consisted of Cessna 402s, Beech BE-C99s, and Shorts 360s. Below: Three Cessna 402s and two Beech 99s sit on the crowded Gulfstream International ramp on a cloudy day in Miami, June 1995. This paint scheme is virtually identical to the old PBA colors from a decade earlier. 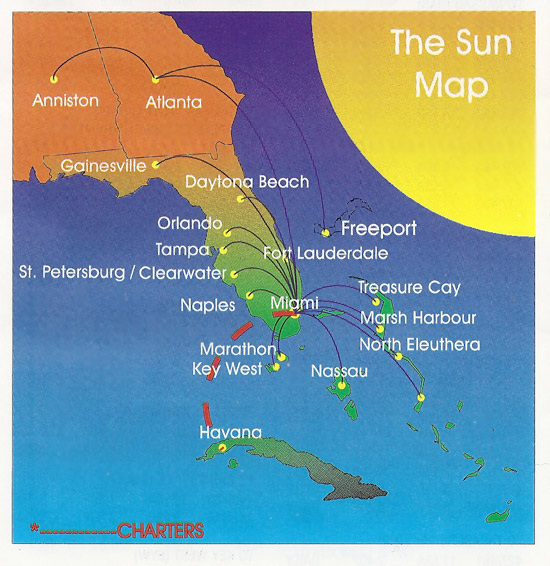 Gulfstream International Airlines route map from April 1995. 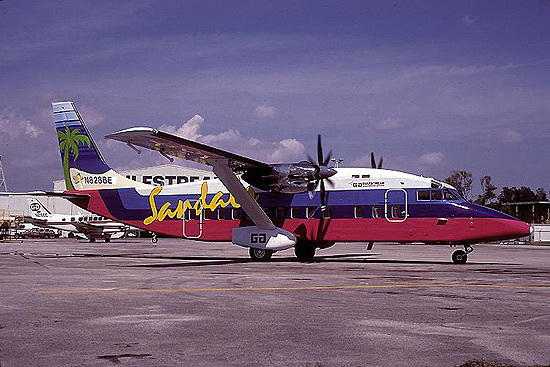 Shorts Brothers SD-330 N828BE was painted in a colorful livery advertising Sandals Resorts. Embraer Brasilia N285AS shown in the standard Gulfstream colors. For timetable images and additional information, visit the Gulfstream pages at Timetable Images and Air Times.